In this picture from Spring of 2014, Domino explores the colour PURRple. 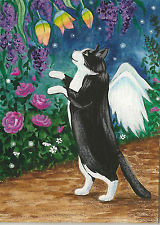 PURRple was Domino's favourite colour because it's quite dramatic and always in fashion. Little wonder her favourite flower was a PETunia, then. 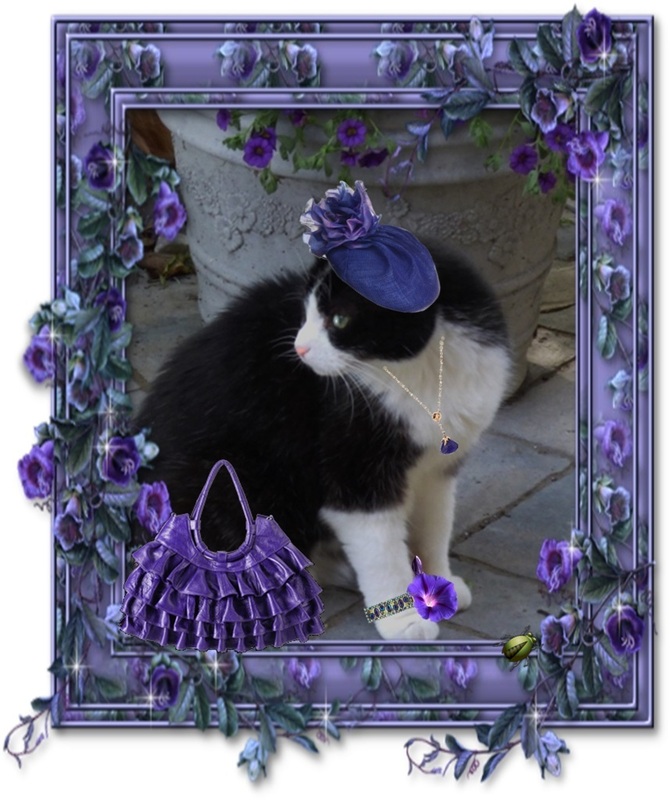 The PURRple fascinator with floral embellishment suits Domino purrfectly. Her coordinating jewellery is simply stunning. And that ruffled bag is frankly fabulous -- n'est-ce-PAW? ... posing in a PURRple paradise. She was totally purrfect in purple!